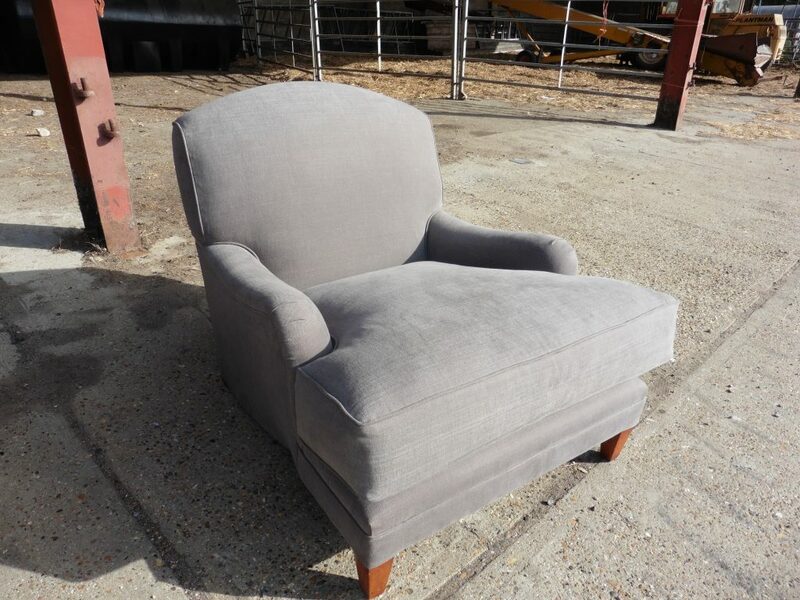 This sofa and armchair were in need of some tender loving care. 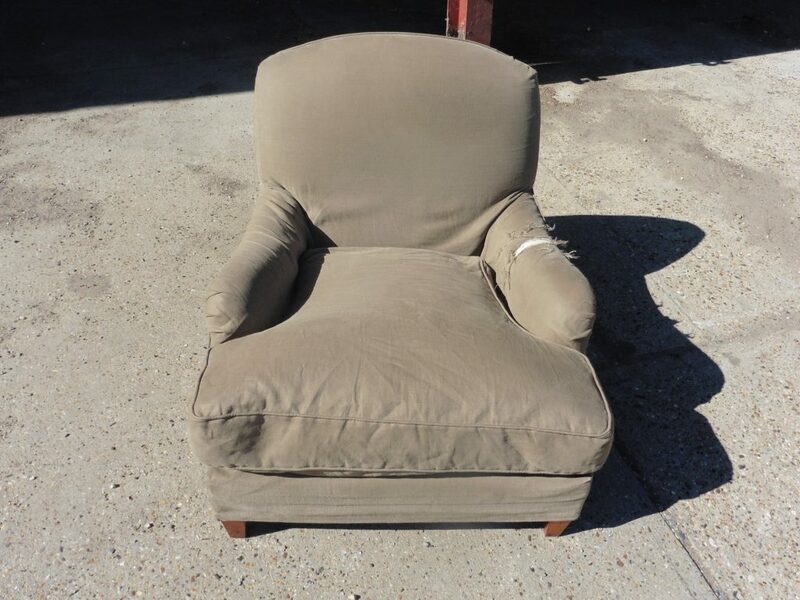 What started as a simple recover with new feather wrapped foam interiors became a repair job as the inside of the chair was not in a good way. The video below was sent to our customer to explain what the problem was and how we intended to fix it. 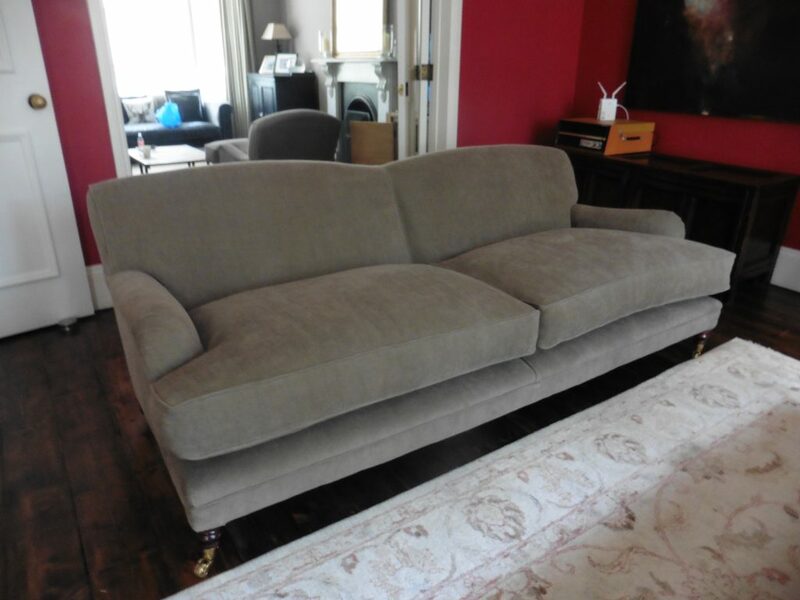 Both sofa and armchair were sent back to the client in their Lewisham home, refreshed and looking and feeling as new. My wife and I are extremely pleased with the work carried out on our sofa and chair. We would absolutely use your company again and would not hesitate to recommend the service to our friends. A wonderful job done by the workshop, your team kept us fully appraised whilst the work was being done and the delivery team were helpful and efficient.